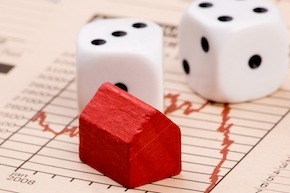 You are here: Home / Cash Flow Business / What Determines a Mortgage Note’s Value? How is the credit on the people who are paying on the mortgage note? Obviously the higher the credit scores the better. That said, many people carry back a note because the buyer could not qualify for a bank loan to begin with. Credit is just one piece of the puzzle and poorer credit can be offset by positive factors in other categories. This is a big one. How much does the buyer owe vs. how much is the property worth? Most note buyers are going to want to see at least 10% equity in a property. That does not mean they are going to pay up to 90% of the value of the property for a note, it just means a note buyer wants to see some sort of financial reason the buyers would not just walk away and leave equity on the table. 10% is about the minimum, 20%+ is a lot better. Although down payment will directly affect equity, it is another factor. It shows how much the buyer made a financial commitment right out of the gate. How long has the buyer made payments? If they have only been in the property for 2-3 months, they are not very committed at this point. There is no payment history or track record to show that they will continue to make payments. However, if they have been making payments for two to five years – you now have a very good case of showing a strong payment history. The terms include interest rate, payment amount, frequency, and the date for when payments are due in full. A higher interest rate on the promissory note is more attractive to an investor, provided the buyer can afford the payments. If there is a balloon payment a Funder will want to know the buyer can reasonably refinance when the time comes, especially if the note is short term. Some investors are very concerned with the location and type of property. Judicial vs. Non-Judicial states. Favorable schools. Specific demographics. Although these may not specifically aid in the note payments being made on time, it may affect what happens if the Funder has to take back the real estate and resell it. The best part about the note business is that the above parameters often intertwine and offset each other. A note that has poor down payment can be offset by a longer amount of seasoning. Poor credit can be offset by a larger amount of equity. In the end, each investor sets their own “rules” to determine the fair market value of a note. Pay attention to these items when creating the deal and you might just get top dollar should you ever want to sell payments. Looking for a great resource? 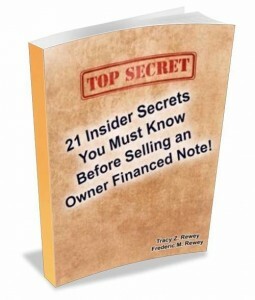 Check out the 2012 Directory of Note Buyers and 21 Secrets to Selling Mortgage Notes!